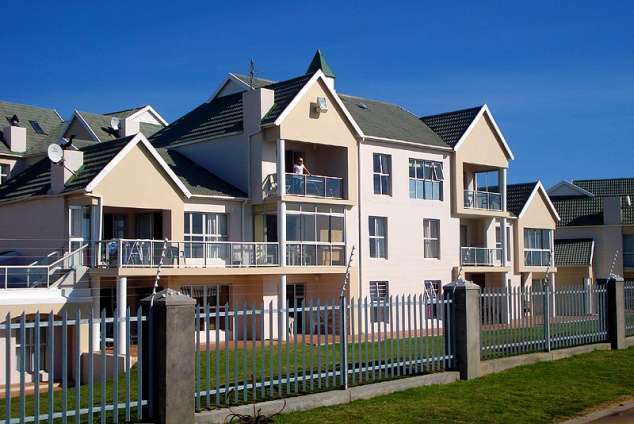 Summerseas 47 - Summerstrand Accommodation. A beachfront gem with stunning views of the beach and the ocean. Upmarket, self-catering flat on the top floor right on Pollock beach - you don't even have to cross the road! Sit on the balcony or even lie in bed and watch the surfers, wave-jumpers, joggers and even schools of dolphins and whales right under your nose. Go for a walk or cycle along the boardwalk stretching for kms all along the pristine beachfront. Beautiful white sandy, flat beaches with warm water most of the year round. Rockpools for kids to play in, catch fish from the beach, or enjoy a drink and a meal at one of the many nearby restaurants. This is a secure complex with an electric fence surrounding it and guards on duty. Parking is available within the complex itself. 20 min from the new world cup soccer stadium. The flat is serviced once a week but extra can be arranged. Let the only sound you hear be that of the waves lulling you to sleep, and wake up to magnificent sunrises over the sea - what more could anyone ask for? 38919 page views since 27 Jan, 2009. Last updated on 07 Apr, 2019.